Don’t miss out in one of 2016’s most important events in the marketing world. 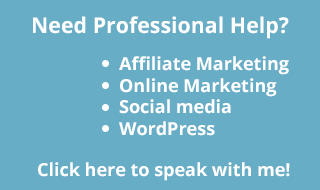 Join me for Affiliate Summit West (ASW). Affiliate marketing is awesome. I do it, and it’s most of what I do. But there’s the side of being an Affiliate manager. This time I want to share with you the top five Affiliate Management Myths. Check it out. Affiliate Summit Coming to California! Affiliate Question. Isn’t it Better To Find a Niche with Low Competition? Internet marketing time! I have a question from affiliates about niche competition. It’s a rookie mistake to think that it is better to try a business in a niche with low competition.